NVIDIA announced the GeForce 500M series of notebook graphics processing units (GPUs), designed to power laptops featuring next-generation Intel Core CPUs (Sandy Bridge). 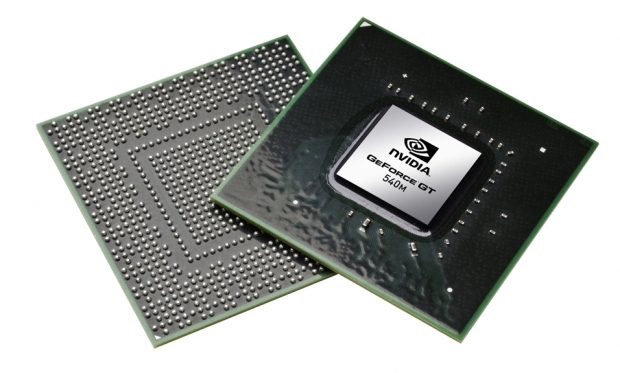 GeForce 500M GPUs are expected to power some of the industry's best notebooks in 2011. The GPUs feature category-leading performance in media-rich HD, 3D, Web, and Gaming applications, as well as enhanced battery life, courtesy of NVIDIA Optimus technology. NVIDIA Optimus technology enables extra long battery life by switching on and off the GPU so that it runs only when needed. Only NVIDIA GPUs support NVIDIA Optimus technology, which enables extra-long battery life by automatically switching on and off the GPU so that it runs only when needed. Introduced less than a year ago, NVIDIA Optimus is now designed into over 80% of 500M Series notebooks across leading OEMs. • For performance users: GeForce GT 540M, GeForce GT 550M, and GeForce GT 555M with over four times the performance of integrated graphics and twice the DirectX 11 performance of the competition. • For mainstream users: GeForce GT 520M and GeForce GT 525M offering over twice the performance of integrated graphics. "GeForce GT 500M GPUs combined with Optimus technology enable the most versatile laptops ever created," said Rene Haas, general manager of notebook business at NVIDIA. "Pairing a great GPU with a strong CPU delivers Optimized notebook performance for consumers."